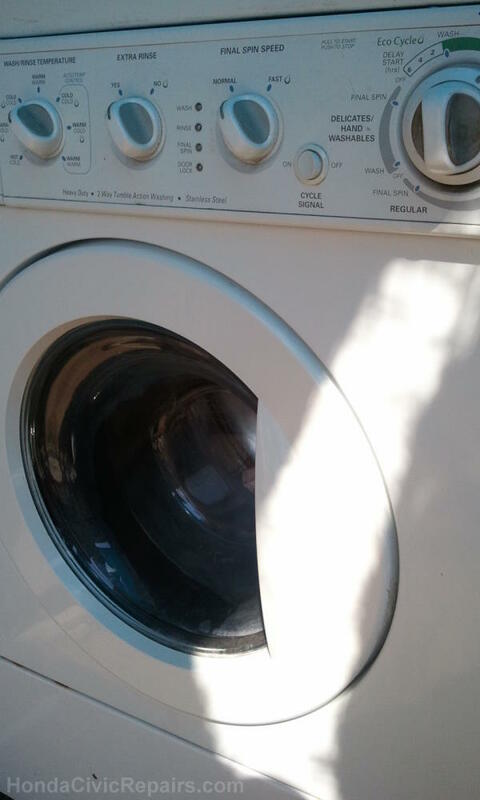 I've had a Kenmore Washing Machine that has worked flawlessly since purchasing it back in 2001. It's a wonderful heavy duty front-loading clothes washer that includes a stackable clothes dryer and meets the Energy Star standards. However, after 12 years of service, the tumbler stopped spinning. The lights and water all seemed to function but when the timer came to turning the tumbler, it just wouldn't move. Obviously, the problem had to be related to the motor so I did what every curious and eager troubleshooter would do...unplug the machine and open it up. There were several screws in the back to remove the rear panel. Once removed, the panel can be set aside to reveal the large tumbler in the center, the motor underneath linked with a wire harness that connects onto a motor controller located on the bottom left side of the wall. The next thing I decided to do was disconnect the wire harnesses and unscrew the motor controller so I could carefully inspect the circuit board. Upon inspection, I discovered a replaceable fuse had been blown (12a 250v Ceramic Fuse). But upon replacing it and testing to see if it would resolve the problem, the tumbler still would not spin. After re-inspecting the circuit board I discovered that the fuse had blown again. 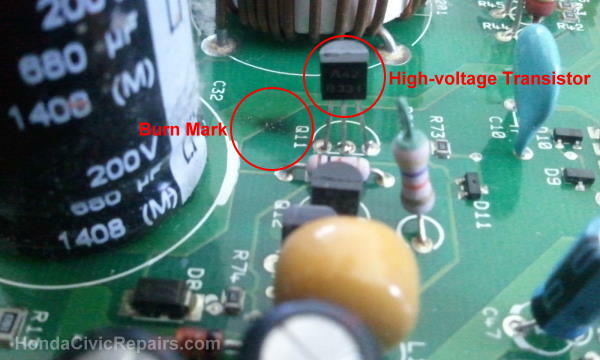 Obviously, the problem was more serious than I thought especially when I noticed a tiny transistor on the circuit board that appeared to have been chipped off with slight burn marks (MPSA42 Hi-Voltage NPN). So I had only two choices...buy a new Washing Machine or buy a new Motor Controller. 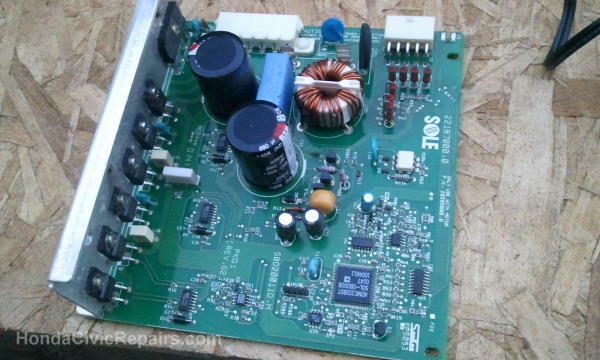 Of course, I took the cost-savings route and bought a new Motor Controller through the Sears Direct Parts website. And what a huge savings that turned out to be! How I fixed my Washing Machine. 2. Disconnected the Cold and Hot water lines. 3. Remove all the screws from the rear panel. 4. Removed the rear panel. 5. Disconnected the wire harnesses connected to the Motor Controller. 6. Removed the screws holding the Motor Controller. 7. Installed and screwed on the new Motor Controller. 8. Connected the wire harnesses back to the Motor Controller. 9. Screwed back the rear panel on. 10. Re-attached the Cold and Hot water lines.